American actor, film producer, director, screenwriter as well as spokesperson Denzel Hayes Washington Jr, was born on 28 December 1954, in Mount Vernon, New York State, and is one of the most respected of Hollywood actors, with two Oscars, three Golden Globes and a Tony Award to his credit, gained during a career in the film industry which now spans more than 40 years. So just how rich is Denzel Washington? According to authoritative sources, Denzel’s net worth is estimated to be over $200 million as of early 2017, with acting being the main source of his wealth. 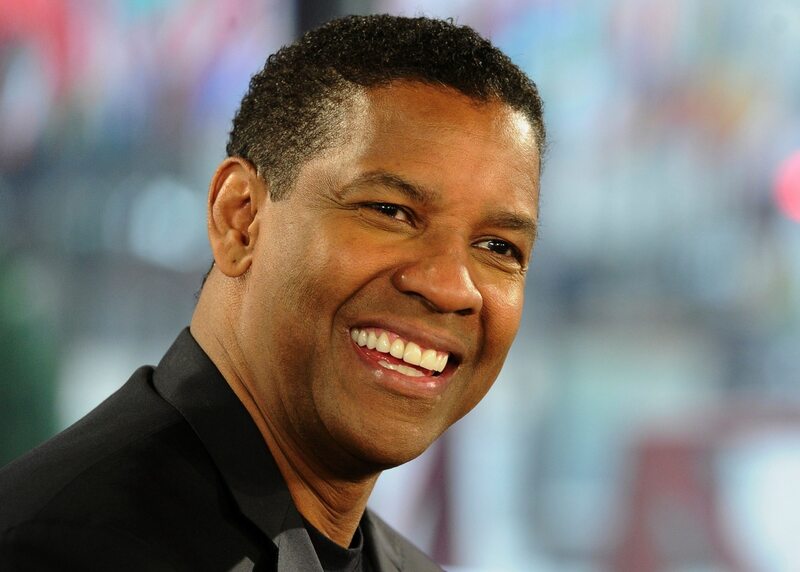 Denzel Washington attended Oakland Military Academy and Mainland High School in Daytona Beach, Florida, then graduated from Fordham University in New York City in 1977 with a BA degree in Drama and Journalism. Washington’s first introduction to acting included as Othello in Shakespeare’s play, but after university in the play “Wings of the Morning”, as well as a series of commercials for Fruit of the Loom ensemble. 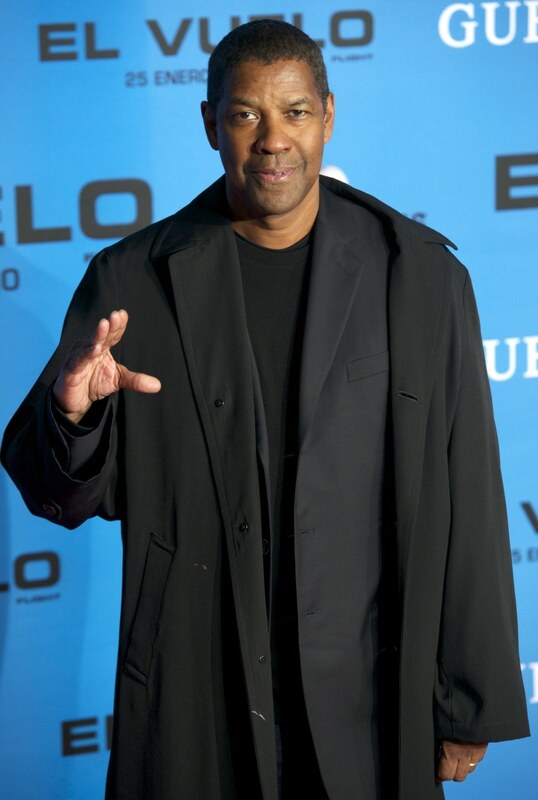 Denzel’s career began to expand when he received an Obie Award for his portrayal of Melvin Peterson in the drama written by Charles Fuller, entitled “A Soldier’s Play”. Then Washington’s major television breakthrough came in 1982, when he starred as Dr. Phillip Chandler in the hospital drama “St. Elsewhere”. Around the same time, Washington made appearances in such movies as “A Soldier’s Story”, “Hard Lessons”, as well as “Power”. In 1987 he received his first nomination for an Academy Award, playing Steve Biko in “Cry Freedom”, and a year later won an Academy Award for Best Supporting Actor as a slave in the film Glory”. 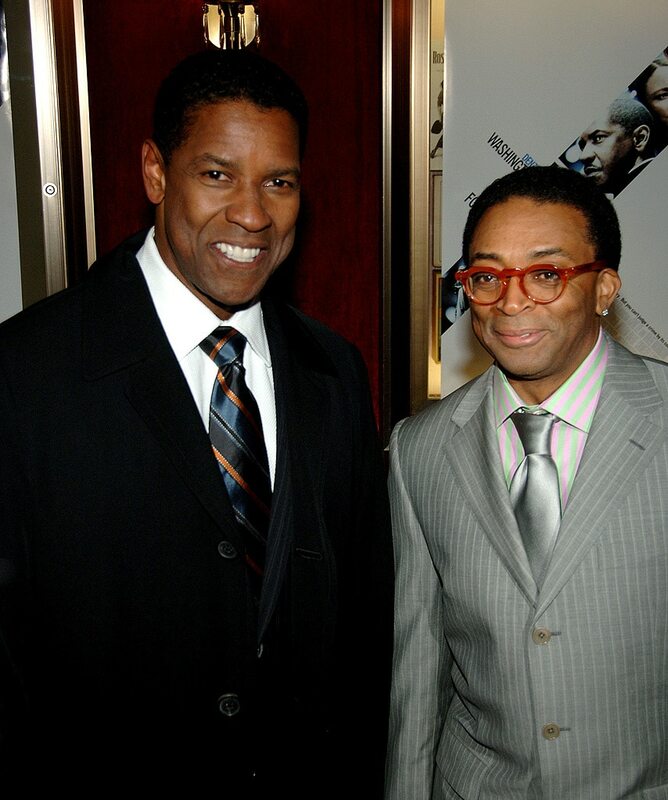 The early 1990s were extremely successful for Denzel Washington, as he landed roles in such films as “Mo’ Better Blues” written and directed by Spike Lee, and played a lead part in the critically acclaimed biographical drama “Malcolm X” that gained him another nomination for an Oscar. Washington continued to make memorable appearances in such films as “He Got Game” directed by Spike Lee, “Courage Under Fire” with Meg Ryan, and Norman Jewinson’s “The Hurricane” – for his portrayal of Rubin Carter in the latter movie, Denzel received both a Golden Globe as well as a Silver Bear Award, that he was given at the Berlin International Film Festival. His net worth was constantly rising. 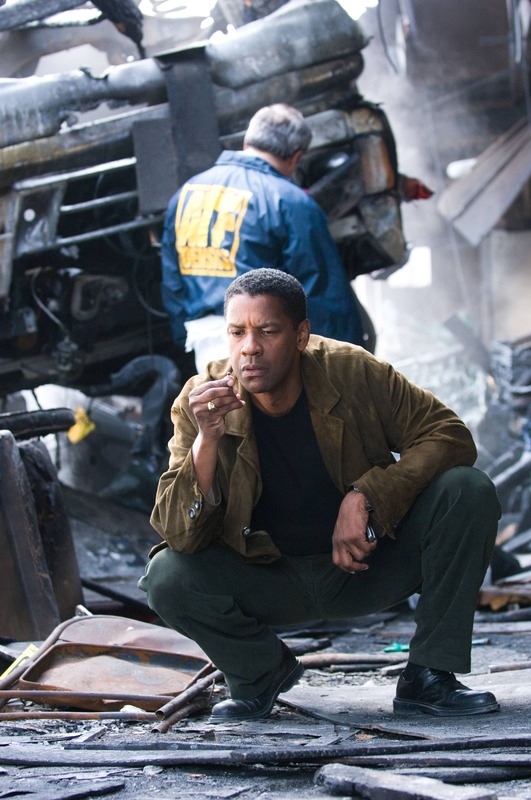 Washington’s critically and commercially successful career continued with appearances in Spike Lee’s “Inside Man” which grossed over $184 million worldwide, Tony Scott’s “Man on Fire” for which he earned $20 million, as well as Ridley Scott’s “American Gangster”, in which he starred alongside Russell Crowe and Norman Reedus and for which he is reported to have received $40 million for his role. In 2005, Denzel Washington came back to theatre performances, and played Marcus Brutus in “Julius Caesar” on Broadway, and in 2010 played alongside Viola Davis in a revival of “Fences” written by August Wilson in 1983. Washington’s role in this play was rewarded by a Tony Award for Best Actor in a Play. 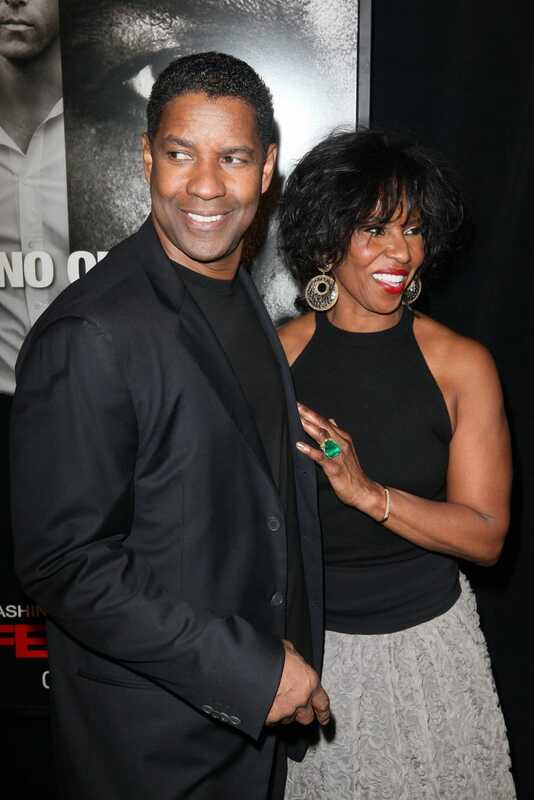 In his personal life, Denzel Washington currently resides in Beverly Hills, California with his wife Pauletta Pearson who he married in 1984 – they have four children. Nicknames Denzel Jermaine Washington, Jr. , Denzel Hayes Washington Jr. , Denzel Washington, Jr. , D , Denzel Hayes Washington, Jr.
1 Frequently when his character is making a decision or changing his course of action, he will say, "Okay. Okay." 5 In almost all the films - e.g. Man on Fire (2004), American Gangster (2007), John Q (2002) - where he handles or uses sidearms (usually a 9mm Beretta or similar pistols), there's a scene of him swiftly ejecting a bullet from the loaded chamber by pulling back the slide assembly and subsequently catching the bullet before it falls to the ground. 7 Often portrays real people: Rubin "Hurricane" Carter in The Hurricane (1999), Malcolm X in Malcolm X (1992), Herman Boone in Remember the Titans (2000), Frank Lucas in American Gangster (2007), Steve Biko in Cry Freedom (1987) and Melvin Tolson in The Great Debaters (2007). 1 [Excerpt from his commencement speech to the 2015 graduates of Dillard University] While you're on your knees in the morning, say thank you. Say thank you in advance for what is already yours. ... True desire in the heart for anything good is God's proof to you sent beforehand that it's already yours. ... When you get it, reach back, pull someone else up. Each one, teach one. Don't just aspire to make a living, aspire to make a difference. 2 [Excerpt from his commencement speech to the 2015 graduates of Dillard University] You'll never see a U-Haul truck behind a hearse, I don't care how much money you make, you can't take it with you. ... It's not about how much money you have, it's what you do with it. 3 [Excerpt from his commencement speech to the 2015 graduates of Dillard University] Don't be afraid to fail big, to dream big, but remember, dreams without goals, are just dreams. And they ultimately fuel disappointment. I try to give myself a goal every day, sometimes it's just not to curse somebody out. 4 [from his commencement speech to the 2015 graduates of Dillard University] Put God first: Everything that I have is by the grace of God, understand that. It's a gift. I didn't always stick with Him, but He stuck with me. 5 [Excerpt from his commencement speech to the 2015 graduates of Dillard University] Just because you're doing a lot more, doesn't mean you're getting a lot more done. 7 [on Flight (2012)] If it ain't on the page, it ain't on the stage. I read tons of scripts, and I know it's very rare, but this is like a Eugene O'Neil play - the tears are on the page. 8 Tony Scott was a great director, a genuine friend, and it is unfathomable to think that he is now gone. He had a tremendous passion for life and for the art of filmmaking, and was able to share this passion with all of us through his cinematic brilliance. 9 Long ago, I made a commitment to completely cut out drinking and anything that might hamper me from getting my mind and body together. And the floodgates of goodness have opened upon me, spiritually and financially. 10 (1995 quote) This "famous" stuff, I guess you can get caught up in it. You can even get caught up in fighting it, pretending it doesn't exist. But it already alters who you are, just in the fact that you're trying to deny it. I just turned 40 and my wife and I had a quiet getaway. I didn't want a big party or anything. I just wanted to reflect on what I've done with the first 40 years and what I want to do now. I think I'm just starting to figure out how to do it, you know, how to simplify things in life. Around my birthday, I was listening to this motivational speaker, Les Brown, who made this analogy about ghosts around his bed. He was saying when you die, imagine you had these ghosts around your bed that represent your unfulfilled potential. Things that should have been done, should have been experienced. How many ghosts are going to be around your bed when your time comes? People can say about me or anyone, "Oh, you're great at this", but you have to look at yourself and say, "How do I feel about what I've done?". That's all that matters. 11 (1995 quote) It was never my dream to be famous. I didn't start acting to be a movie star. I started in the theater and my desire was to get better at my craft. It's still my desire. I don't consider myself a movie star, nor do I really have the desire to be one. I'm just an entertainer. An actor who works hard at his craft. Whatever labels people give me, that's not really me or part of my process. Come and talk with me again on my 50th birthday and I may feel differently, but right now, I'm just taking the lesson from one of my old teachers who said, "Don't be afraid to fail big.". 12 [on the whipping scene in Glory (1989)] - I remember walking around before that scene, just praying and calling on the spirits of all the slaves, because I didn't know how to play it. I was like, "Okay, fellas, just tell me what to do." And I went out there with an arrogance. I spit on the ground. I had this attitude and this strength -- it all came out of this meditation. It wasn't calculated. It was organic. That whip actually hurt, but I was like, "Don't let him win." 13 [on Philadelphia (1993)] - [Director] Jonathan Demme said to me, 'Look, we don't want your character to go 360 degrees. It's not like by the end of the movie he's leading a gay and lesbian parade'. If we'd done that, it would have let people like this character off the hook. But at the end, he touches [Tom Hanks' character] -- and that's huge for him. [Pauses, then laughs] I used to mess with Tom. He was barely eating at all, and I would put out, like, 200 Almond Joys in his drawer to give him a hard time. I'd pretend to sneeze and all these Snickers would fall on the ground. I'm sure he laughed all the way up to the podium when he won the Oscar. 14 [on the supposed factual inaccuracies of The Hurricane (1999)] - I heard that. We'll never know, will we? The film was touchy because people were murdered and a lot of people felt that Rubin did it. So you're opening old wounds. Malcolm X (1992) was more dangerous, but The Hurricane (1999) might have been more controversial. 15 [on Training Day (2001)] - My son talked me into doing that movie. He was like, 'Dad, you've never done anything like this'. I just hadn't been asked before. The only film that was sort of dark that I'd turned down was _Se7en (1995)_. They offered me the Brad Pitt part, but I was like, "This is so dark and evil." Then when I saw the movie, I was like, "Oh, shoot". 16 [on The Book of Eli (2010)] - We shot in New Mexico, and the environment definitely helped. It was bleak. It got chilly and windy. The wind was the biggest deal. You'd have to wash the sand out of your nose and eyes. The world that the movie takes place in, the opportunity to do all this "Blade" kind of martial-arts stuff, working with the Hughes brothers -- it was an interesting combination of things. 17 [on the 2002 Academy Awards and his win] - I didn't want to go to the Oscars. After Hurricane, I was like, "I don't feel like dealing with these people. I'm just not going to go." In order to protect yourself, you almost have to not care. So that night I didn't care -- and, of course, they go, "Here". 18 Man gives you the award but God gives you the reward. 19 The acting coach Stanislavsky talks about cutting 90 percent. So you do research, research, research, then you drop it and listen when you're in the scene and know who you are. You never know how it's gonna come around. That's why you go out there and find out. It's because you need the human beings that hook you into the character. Maybe I'm not as imaginative as the average actor. I need some kind of a hook sometimes. 20 (on having to do publicity) I'm an actor, so that's the bottom line. I'm not a marketing whatever. My strength does not lie in marketing a product called "Denzel". That's not what I do. My strength lies in playing a part and hopefully entertaining and affecting people on some level. Now I'm not being naive. I know that marketing comes into play when you're spending 50 or 60 million dollars of other people's money to make a film. You have to be involved in marketing that product. But the publicity gets to be boring. How many times can I tell the same story? I understand the importance of doing publicity for a film, so I'm willing to do that, but I don't want to sit around talking about myself. That's not a great day for me. That's not my idea of fun. 21 (1998 quote on his career) In any craft or artistic endeavor you want to do different things. You want to go to different places, you want to find different ways to go about it. You may have your constants, but you're looking to go into new territories, new angles, new challenges. So that's how it is for me as an actor. I couldn't play the same guy eight times and I don't have to. I think I've said all of my career, I'm not a celebrity. I'm not a movie star. I'm just an actor who is more popular right now. I don't even know what a movie star is. And one of the reasons why I keep on going back to make movies that don't have such huge budgets is that it's not as much pressure. You feel like you can take more chances. 22 (on what inspires him as an actor) I like to go to new places. To specify, it is to say that I like not knowing. I like knowing when I get there. I know when it starts coming around and it raises the hair or it doesn't. I was trained in the theater. So it was instilled in me as a young performer to take chances and not to worry about all that, because failure is a part of growth. If you're gonna fail, fail big and take chances. So I've done that, or I've tried to do that. 23 (on what he enjoys about making films) The magic. There's fun creating that magic. Bringing something to life, whatever. Putting together a character. The twists and the turns that people don't expect. So to sit around and talk about it before someone sees it is boring. I think there should be some mystery in it. Who wants to know everything about it? I think it ruins movies when you know everything about how the movie was made and put together. If you explain, it's like showing you the trick before I show you the magic. Let me explain to you how it works. All right, now come see the show. It's supposed to be magic. And being an actor is about creating that magic. 24 (1998 quote on his long-standing marriage) She puts up with me. I think, also, in a way the traveling helps. We're able to travel together and also be apart sometimes. Not everybody gets to live like that. Twenty years now. It's like you start to pat yourself on the back when you look around you and you see that very few people have 20 years into a marriage. 25 (1998 quote on his career) With four children I have to maximize the work I do now financially. It's like I have to do one film for financial reasons, as opposed to when I was single, or before we had all of these children. I find that I'm not as good at not working as I thought I would be. I get itchy. My wife also says I'm only good for about three weeks of downtime. But I'm learning a decent pace now. I try to take four or five months off between jobs. 26 (on making movies) It's simple: You get a part. You play a part. You play it well. You do your work and you go home. And what is wonderful about movies is that once they're done, they belong to the people. Once you make it, it's what they see. That's where my head is at. 27 (on refusing the role in Amistad (1997)) I just didn't see myself in Amistad (1997). I ain't putting no chains around my neck. I'm not in the mood right now, too edgy. It just wasn't for me. I'm not having it. I'm like, "Yeah, that's what happened then, but how about me cutting everybody's head off and end the movie there?". 28 For the movie Glory (1989), before going out to shoot the whipping scene, I'm backstage in a room, and I'm thinking, how am I gonna do this scene? All I did - you know people ask me, how did you prepare? - I say, I prayed. And I got on my knees and they were waiting for me, and I prayed. And then I prayed to all the spirits. I said, "Look fellas, ladies" and I'm talking about those who have been, and I said, "Look I don't know, I'm just rolling with you all. Just whatever happens, I'm going. And I said are you with me? Come on!" I'm serious! And I went out there and what hit me was, I'm in charge. Never put my head down. This isn't the first time this has happened to me, the character - and ,in fact, I had the guy build all the scars to put on my back - and I went out there with an attitude that I'm going to take this and not fold. But it hurt. And the tear was actually real. You know, you just allow it and you're thankful for it. It's not technical. It's not science. It's spirit. 29 Acting is just a way of making a living, the family is life. 30 I remain thankful for the gifts that I've been given and I try to use them in a good way, in a positive way. 31 (when asked what prompted him to go to Hollywood) The only way I'm going to L.A. is with a job. 32 (when asked which does he call home, Los Angeles or New York City) I root for the Knicks. I root for the Yankees. 33 [on being late for the 1987 Oscars] I was a mess. I don't know if I ate bad food or if it was too much tension, but I got sick. There was a huge traffic jam, and I remember saying "Look, it took me all this time to get here - I'm showing up in a limousine and I don't care how late I am." By the time I got there, there was no red carpet. Everyone was inside because the show had already started. 34 [on what roles he would like to redo] Probably Shakespeare. I did "Othello" in college, and "Richard III", and those are the two roles I'd like to revisit. Movies? There's a couple I wish I hadn't done. I won't say which ones, but there are a couple of mistakes there. 35 People say, "Congratulations, you finally got the Oscar", and I have to correct them: "Actually, it's my second one. I won for Glory (1989) in 1989." Some people say, "Yeah, but that was for a supporting actor role", but for me, it's the same thing. 36 [on shooting action scenes] I have to try and find a way to remain positive because those days are boring to me, really, just hanging off the side of a building, fighting or grunting. 37 [on working with young female co-stars] That ain't fair, really. Michelle Pfeiffer hasn't been finding a lot of work recently because she doesn't like what a woman her age is offered. That's a real double standard. You get Sean Connery, who gets older and older, still playing opposite young ladies, but it doesn't work the other way around. 38 [on approaching 50] I have a friend who says "The first 50 was for them, this 50's for me." I like that. The weirdest part of it, or even the saddest part, is that you start to see people die. You go "Man! He wasn't even that old." I lost a friend recently who died of a heart attack. He was 58. When I was 20, 58 was old. It ain't now. 39 [on where he likes to keep his Oscars] Next to each other. 40 I'm very proud to be black, but black is not all I am. That's my cultural historical background, my genetic makeup, but it's not all of who I am nor is it the basis from which I answer every question. 41 (In 1998) Acting's like someone asking you for years to write the characters, but they write the book. 1 Directed 2 actors to an Oscar nominated performance: Viola Davis and himself, who are both nominated for Fences (2016). 2 Dropped out of junior college with a 1.7 GPA. 3 He was the recipient of the Cecil B. DeMille Award at the 73rd Golden Globe Awards. 4 Became only the sixth actor to win both leading and supporting acting Oscars. The other five are Robert De Niro, Gene Hackman, Kevin Spacey, Jack Lemmon and Jack Nicholson. 5 Became a father for the 3rd and 4th time at age 36 when his wife Pauletta Washington gave birth to their twins Malcolm Washington and Olivia Washington on April 10, 1991. 6 Became a father for the 2nd time at age 32 when his wife Pauletta Washington gave birth to their daughter Katia Washington on November 27, 1987. 7 Revealed on The Graham Norton Show (2007) that he dislocated his right hand little finger while playing football, so much so that it frequently pops out of joint. In several of his films, this would happen in the middle of a take, so he can frequently be seen fidgeting to conceal or fix it. He has since had the condition surgically corrected. 8 Became a father for the 1st time at age 29 when his wife Pauletta Washington gave birth to their son John David Washington on July 28, 1984. 9 Eva Mendes and Paula Patton have each played his love interest twice - Mendes in Training Day (2001) and Out of Time (2003), and Patton in Deja Vu (2006) and 2 Guns (2013). 10 Won the 2010 Tony Award for Best Actor in a Play for "Fences". 11 The longest he has gone without an Oscar nomination is 11 years, between Training Day (2001) and Flight (2012). 12 Has starred in three remakes: The Manchurian Candidate (2004), The Taking of Pelham 1 2 3 (2009) and Man on Fire (2004). 13 Has worked twice with Chiwetel Ejiofor. In Inside Man (2006), they played police detectives; in American Gangster (2007), they played criminals. 14 Among his favorite black actors are - Idris Elba and Chiwetel Ejiofor - who happen to be British, and both of whom co-starred with Washington in American Gangster (2007). 15 Likes to point out the difference between his father's and his first name: Denzel. Though both are spelled the same, his dad's name is pronounced with the stress on the first syllable - DEN-zel, whereas the actor's name is pronounced - den-ZEL. 16 Lives in Los Angeles, California. 17 Turned down the role that went to George Clooney in Michael Clayton (2007). 18 Performed all of his own stunts for the hand to hand fight sequences in the post-apocalyptic action film The Book of Eli (2010). 19 Was considered for the role of Curtis Taylor Jr. in Dreamgirls (2006). However, Jamie Foxx was cast instead. 20 His performance as Malcolm X in Malcolm X (1992) is ranked #17 on Premiere magazine's 100 Greatest Performances of All Time (2006). 21 Brother-in-law of actress Rita Pearson. 22 As of 2009, Washington and sound engineers Willie D. Burton and Russell Williams II are the only African-Americans to win two Oscars. 23 (November 11, 2008) Attended the star-studded opening of Dubai's lavish Atlantis Palms resort. Guests were welcomed in style with a display of one million fireworks, said to be visible from space. 24 Broke the pinky finger of his right hand during a childhood basketball accident and never had it set correctly, resulting in the finger healing in a crooked position. The finger is still crooked to this day, bent at the bottom knuckle a full 45 degrees outward from his other fingers. 25 Was considered for the role of Detective Ricardo Tubbs on Miami Vice (1984), which went to Philip Michael Thomas. 26 Was the original choice to play the title character in Blade (1998), which went to Wesley Snipes. 27 The offer he regrets turning down the most is Brad Pitt's role in Se7en (1995). 28 The actors he most wants to work with are Al Pacino and Robert De Niro. The director he most wants to work with is Martin Scorsese. 29 Named Gene Hackman, Angelina Jolie and Dakota Fanning as the most talented actors he has ever worked with. 30 Is a huge fan of the television series Monk (2002). He requested Ted Levine to play a role in American Gangster (2007) because he was a fan of the series. He also worked with Tony Shalhoub in The Siege (1998). 31 When Washington won the Best Actor Oscar for Training Day (2001), Halle Berry won the Best Actress Oscar for Monster's Ball (2001), and Sidney Poitier won the Honorary Award (2001), 2002 marked the first time in Academy Awards history that three African-Americans so dominated the Oscar ceremonies (2002). 32 In 2006, he donated $1 million to Save Africa's Children. 34 Has worked with both Fanning sisters. He worked with Dakota Fanning in Man on Fire (2004); he worked with (although did not have any scenes with) Elle Fanning in Deja Vu (2006). 35 He spent months on the beat with Washington Post reporters to prepare for The Pelican Brief (1993). 36 To prepare for his attorney role in Philadelphia (1993), he met with two lawyers who were about to become celebrities in their own right: Johnnie L. Cochran Jr. and Carl Douglas. 37 For Courage Under Fire (1996), he trained at the National Training Center at Fort Irwin in California, where he qualified on the M1A1 tank and the 120mm gun, participated in battle games and listened to audiotapes of tank battles in Desert Storm. 38 Almost every summer he and his family go to Italy on vacation. 39 Son of Lennis Washington, a beautician and former Gospel singer. 40 Received an honorary degree (Doctor of Humane Letters) from Morehouse College in Atlanta, Georgia on May 20, 2007. 41 At one point, was to star as Dr. Alex Cross in Kiss the Girls (1997), had to drop out due to scheduling conflicts. 42 Voted as America's Favorite Movie Star in the 2006 and 2007 Harris Polls. 43 Good friends with actress Julia Roberts. 44 His daughter, Katia Washington, currently attends Yale University. 45 Turned down the role of Cinque in Amistad (1997), which went to Djimon Hounsou. 46 Turned down the role of Detective David Mills in Se7en (1995), which went to Brad Pitt. 47 Claims his personal favorite performances are his works in Cry Freedom (1987), Glory (1989), Malcolm X (1992) and Training Day (2001). 48 Turned down Se7en (1995). He opted to do another detective thriller that year, Devil in a Blue Dress (1995). 49 Has worked with both Ridley Scott and Tony Scott. Ridley directed him in American Gangster (2007). He has worked with Ridley's brother, Tony, on five films, which are: Crimson Tide (1995), Man on Fire (2004), Deja Vu (2006), The Taking of Pelham 1 2 3 (2009) and Unstoppable (2010). 50 Has two films on the American Film Institute's 100 Most Inspiring Movies of All Time. They are: Glory (1989) at #31 and Philadelphia (1993) at #20. 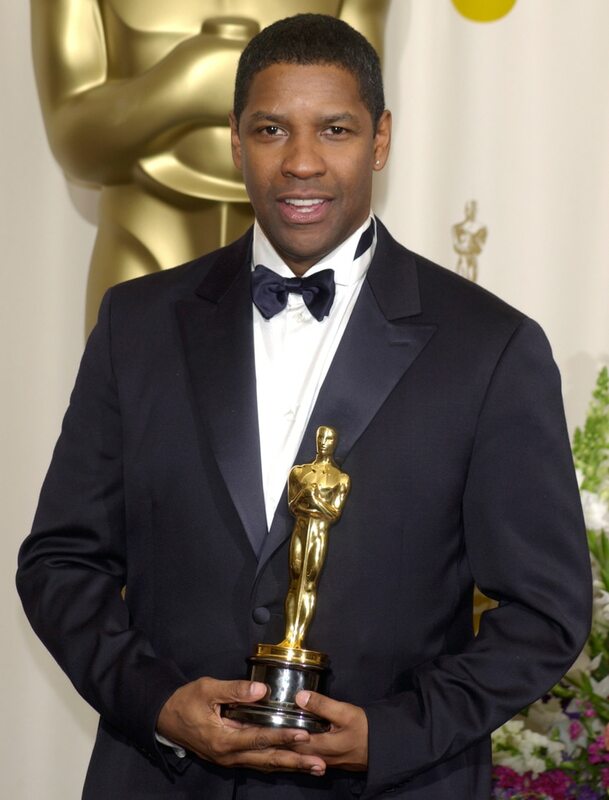 52 As of 2017, he is the most Oscar-winning (two) and most nominated (eight) black actor/actress in Academy history. 53 Is the second of three children. 54 He and his family visited the troops at Brook Army Medical Center, in San Antonio, Texas (BAMC). There are some buildings there called Fisher Houses. The Fisher House is a Hotel where soldiers' families can stay, for little or no charge, while their soldier is staying in the Hospital. BAMC has quite a few of these houses on base, but as you can imagine, they are almost filled most of the time. He was given a tour of one of the Fisher Houses and subsequent to his visit sent them one of the largest donations they've ever received. 55 Though his first theatrical film was a comedy (Carbon Copy (1981)), he has only done three more since. Has mentioned that he's always wanted to do a great one. 56 Has played two soldiers who have suffered traumatic, life-changing experiences while fighting in the 1991 Persian Gulf War: Lt. Colonel Nathaniel Serling in Courage Under Fire (1996) and Major Ben Marco in The Manchurian Candidate (2004). 57 Is the first African-American actor to receive two Academy Awards. 58 Chosen as People magazine's Sexiest Man Alive (1996). 59 Premiere magazine ranked him as #39 on a list of the Greatest Movie Stars of All Time in their Stars in Our Constellation feature (2005). 61 Has worn some kind of military uniform in at least six of his films. 62 First studied Biology in hopes of becoming a doctor, then switched to Political Science then to a Journalism/Drama major in college. 63 Cites star-athletes like Jim Brown and Gale Sayers as the role models of his youth. 64 He was at his mother's beauty parlor, when a woman getting her hair done saw him and told someone to get her a piece of paper and she wrote at the top "Prophecy" and then wrote that Denzel would grow up and one day speak to millions. 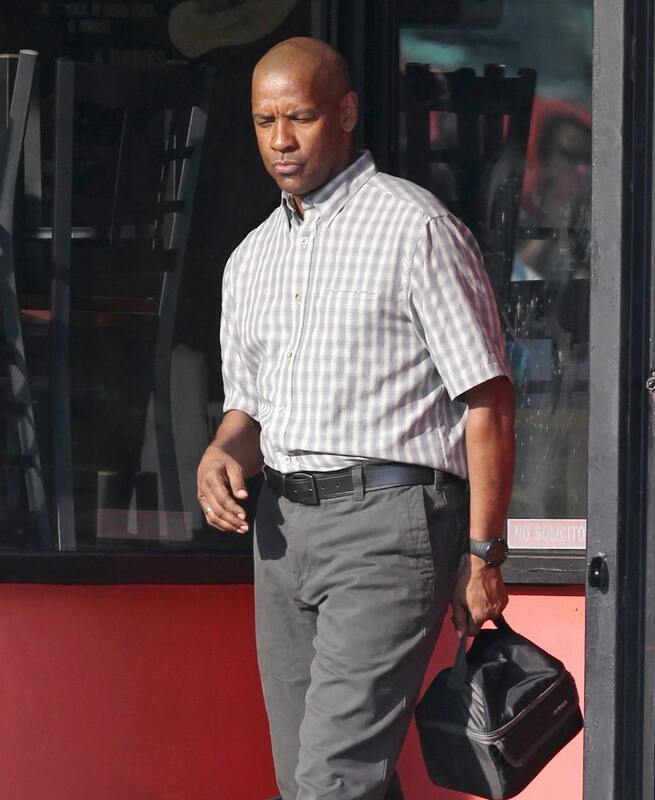 Denzel kept the bit of paper in his wallet. The woman was known as a prophetess in their church and community. 65 Tom Hanks said working with Washington on Philadelphia (1993) was like "going to film school". Hanks said he learned more about acting by watching Denzel than from anyone else. 66 Was awarded the title of "Police Chief for a Day" when he was a member of The Boys and Girls Club of America as a child. The photo was shown during his latest appearance on Live with Kelly and Michael (1988). 67 He and his family are members of the same church as actors Dwayne Winstead, Sy Richardson, Marvin Wright-Bey and Fitz Houston. 68 Cousin is newsman Ukee Washington, who co-anchors the news on the CBS affiliate in Philadelphia. 69 Ranked #28 in Premiere magazine's 2003 annual Power 100 List. Had ranked #40 in 2002. 70 Named by People magazine as one of the 50 Most Beautiful People in the World (2002). 71 Only the second black actor (after Sidney Poitier) to win the Academy Award for Best Actor in a Leading Role (for Training Day (2001)). Poitier received the honorary Academy Award that same year. 72 Is a spokesperson for the Boys and Girls Clubs of America, having been a member of the Boys Club once himself. 73 His father was a Pentecostal minister; his mother a beautician and former gospel singer. They divorced when he was 14. 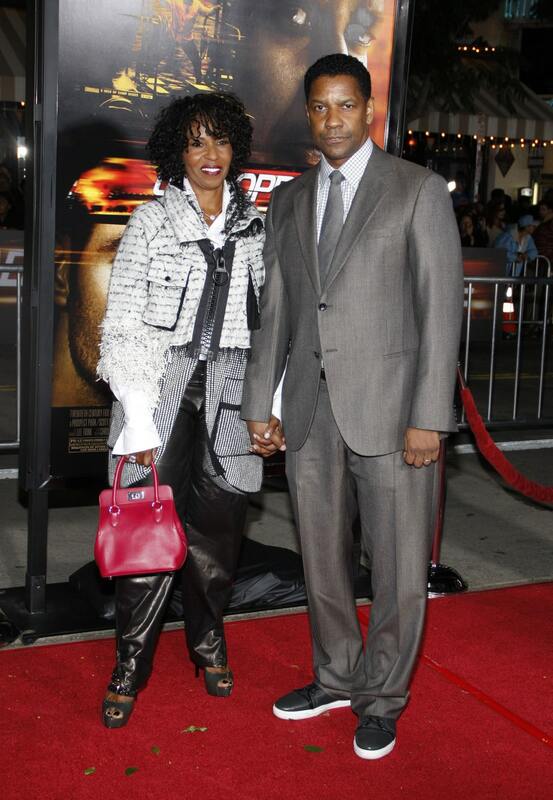 74 Met his wife Pauletta Washington in 1977 when both had small roles in the television movie Wilma (1977) (she was billed as Pauletta Pearson), the story of runner Wilma Rudolph. They wed five years later. 75 Supports charities such as the Nelson Mandela Children's Fund, and the Gathering Place (an AIDS hospice). 76 Named one of E! 's "top 20 entertainers of 2001". 77 Frequent collaborator of Spike Lee. 78 In the early 1980s, years before he portrayed Malcolm X in the Spike Lee film Malcolm X (1992), Washington portrayed Malcolm in the off-Broadway production of "When the Chickens Came Home to Roost", at the Henry Street Theatre in New York City. 79 Denzel is named after his father who was in turn named after the doctor, Doctor Denzel, who had delivered him. 80 According to a 1995 Premiere magazine article, Denzel confronted director Quentin Tarantino when he visited the set of Crimson Tide (1995). Quentin had done an uncredited rewrite of the script. Denzel lambasted Tarantino about his use of racial slurs in his films. Tarantino got embarrassed and wanted to move the conversation to a more private area. 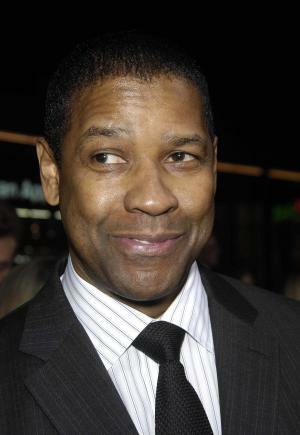 Denzel said, "No, if we're going to discuss it, let's discuss it now." Denzel later said he still felt that Quentin was "a fine artist". 81 Chosen by People magazine as one of the 50 Most Beautiful People in the World (1990). 82 In a Newsweek cover story about the biological basis of the perception of beauty, he was used as a key example in a scientific explanation why he is considered an extremely handsome man. 84 Received his Bachelor's degree in Journalism from Fordham University in New York City. 85 To prepare for his role as boxer Rubin 'Hurricane' Carter in The Hurricane (1999), Washington worked out for a year with Los Angeles boxing trainer Terry Claybon. 86 Son, Malcolm, was named in honor of Malcolm X. 87 Chosen by Empire magazine as one of the 100 Sexiest Stars in film history (#77) (1995). Fences 2016 arranger: "Old Blue" / performer: "Old Blue"
Mo' Better Blues 1990 performer: "Pop Top 40"
Heart Condition 1990 performer: "Baby Please Don't Go"
The Mighty Quinn 1989 performer: "CAKEWALK INTO TOWN"